Our clients needed an architect in St Austell, Cornwall to provide them with a Design Service for their Design new housing development. 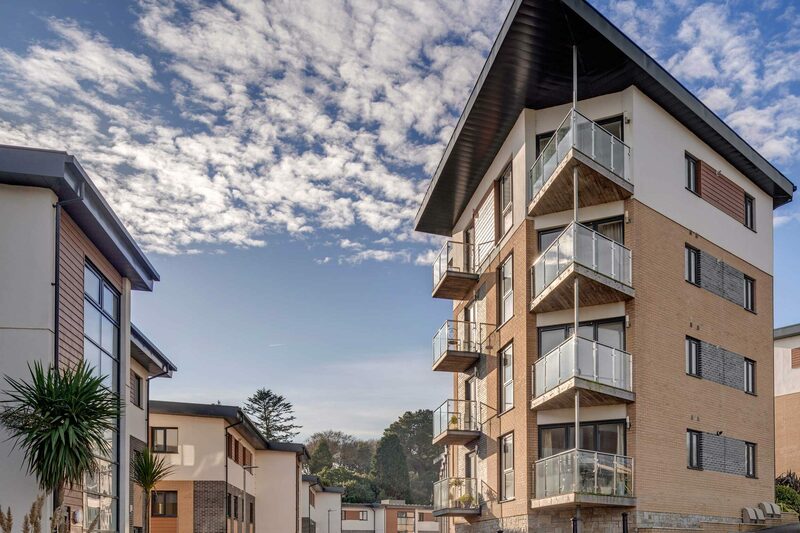 Located south of St Austell on a coastal site previously used for a Butlin’s holiday complex, this new housing scheme was designed to replace a previous scheme that did not meet the aspirations of the developers or the local council and community. Van Ellen + Sheryn were appointed by Linden Homes to provide a design-led solution that would make better use of the site. 60 apartments were located in 3 terraces cut into the sloping site. 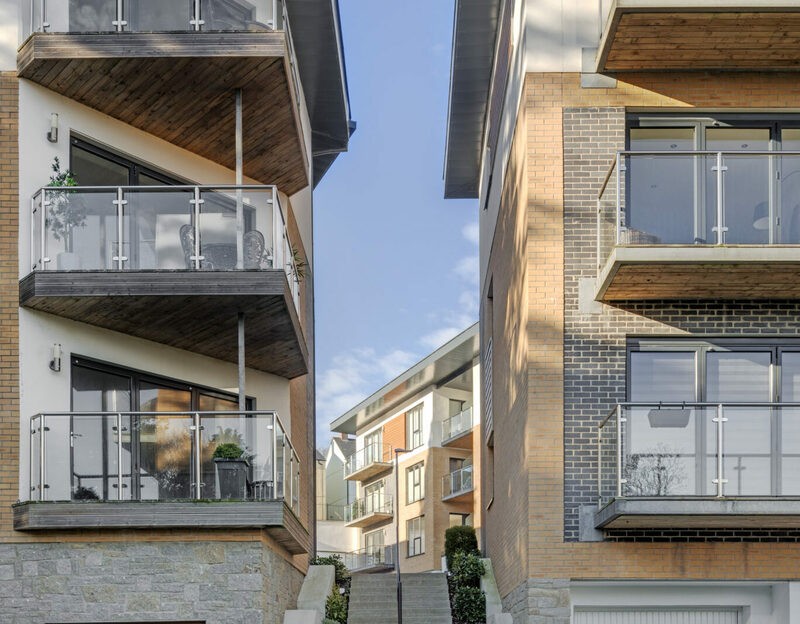 Each terrace benefited from a generous internal street within the site, through which pedestrian access to the beach could be enjoyed. 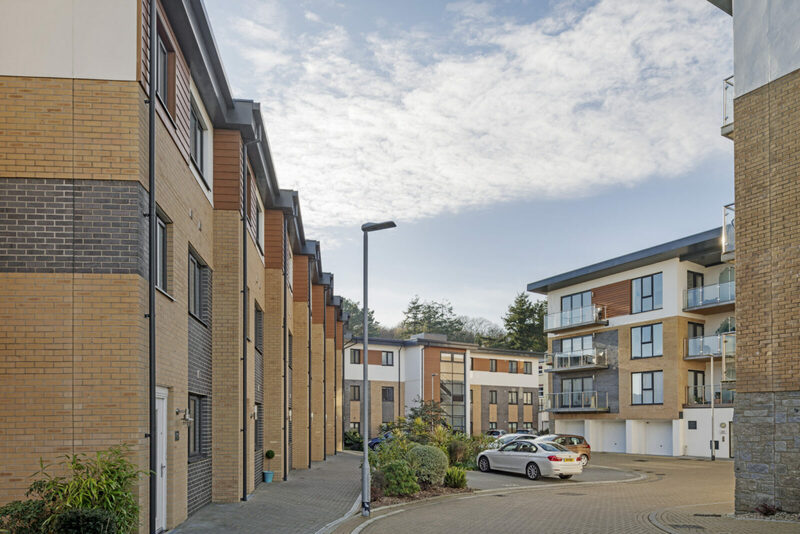 The development provides a mix of flats, duplex apartments and town houses. 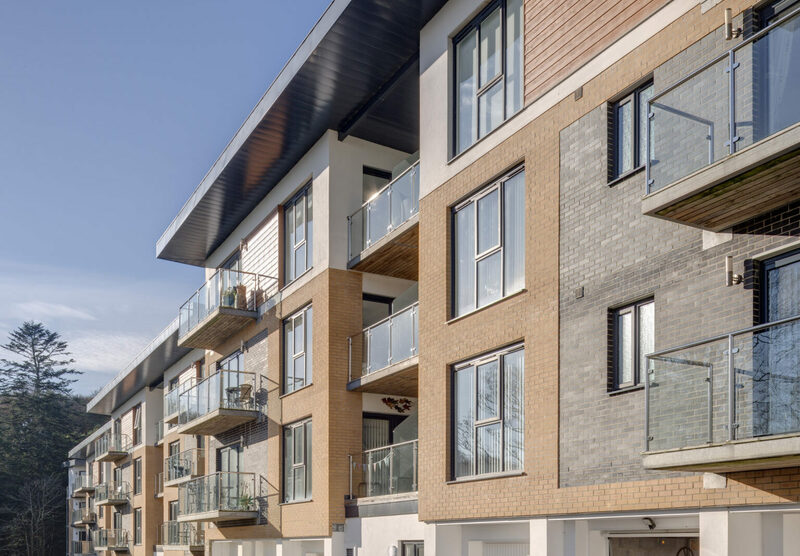 The buildings are constructed from a combination of stone plinths with brick and render cladding on the upper floors. 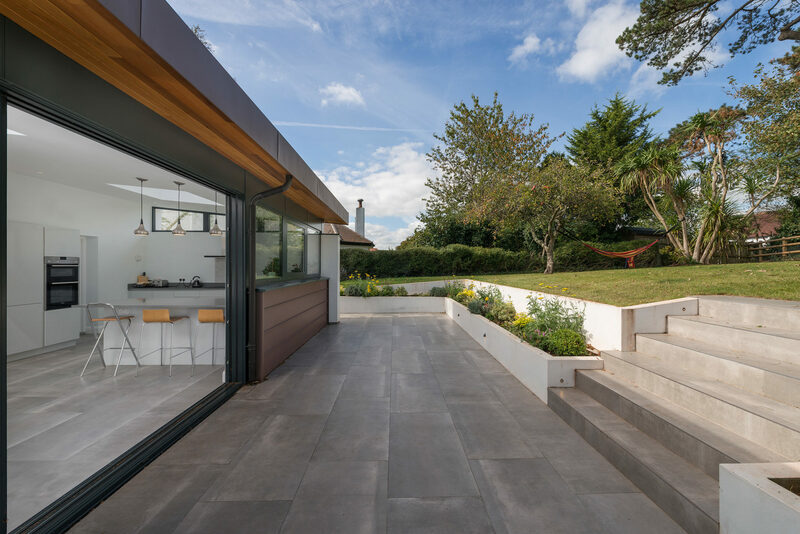 Large aluminium shallow pitched roofs reduce the height of the 3 storey buildings, allowing the neighbouring houses above the site to retain views out to the sea. Van Ellen + Sheryn’s design approach was praised by both the local residents and local planning authority. Construction is nearing completion and the sales revenue has exceeded Linden Homes’ expectations. 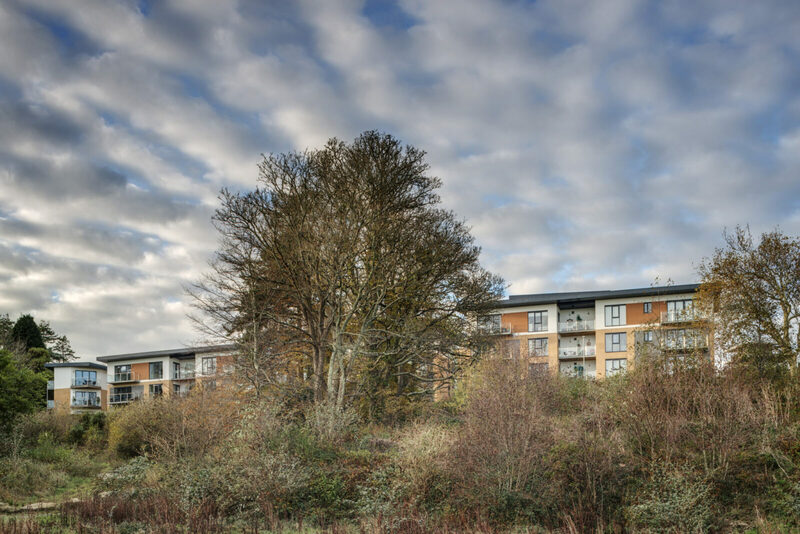 As a result VES have been appointed to design a number of further schemes for the developer. van Ellen + Sheryn have a consistent and thorough approach to the design of individual properties as well as place making. The projects we have undertaken with them have expertly balanced our brief with relevant contemporary design that is highly marketable. 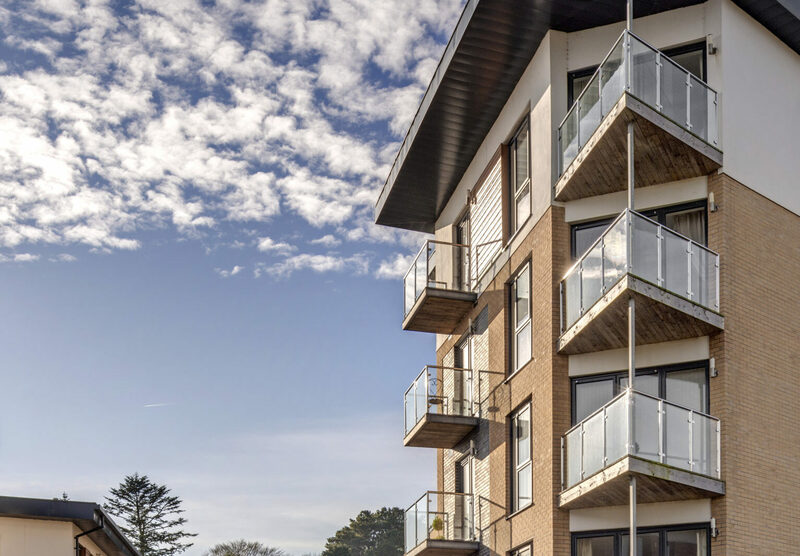 Their design lead approach, along with excellent interpersonal skills, pays dividends when presenting proposals to both Local Authorities and the public at consultation events.